Take part in the competition GDT European Wildlife Photographer of the Year 2016! For the 16th time the Society of German Nature Photographers (Gesellschaft Deutscher Tierfotografen – GDT) invites professional and non-professional photographers from all over Europe to join this year‘s competition. PRIZE DETAILS: • There will be cash and material prizes in the amount of 25,000 EUR altogether. • All winning participants will receive free tickets to the GDT International Nature Photography Festival 2016 in Lünen as well as the exhibition catalogue. Not eligible to enter? - Find contest where you are. 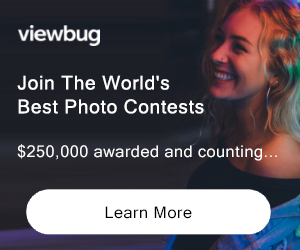 COPYRIGHT: By entering the competition, the photographer confirms that the entered photograph is his / her original work and the photographer is the sole owner of the copyright and that there are no third-party claims. It is the photographer‘s responsibility to obtain releases and consents in written form for publishing, exhibiting and using the awarded image if any persons appear in the photograph or if objects in the photograph are subject to the rights of third parties; it is the photographer‘s responsibility to obtain official permits where applicable. The photographer is held liable for all damages that the GDT or third parties, to whom the GDT legally granted usage of the image, may experience due to the lack of necessary release forms or missing permits. USAGE RIGHTS: Photographs awarded with a prize or highly commended may be used in the context of the competition „European Wildlife Photographer of the Year 2016“ and its related public relations. The GDT is in particular entitled to publish the photographs on their website and to pass the images on to newspapers and magazines for the purpose of news coverage of the competition. The GDT has also the right to use the images for marketing purposes and finding sponsors. In addition, the GDT is entitled to exhibit the photographs in Germany and abroad, to reproduce and distribute them in the form of print media and to use them to advertise the exhibitions and publications. 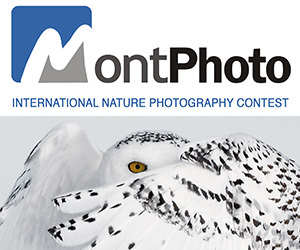 With all of the stated usage, the connection of the images with the competition „GDT European Wildlife Photographer 2016“ must be clearly marked. The GDT is entitled to transfer these usage rights to third parties. For the above stated usage rights the photographer cannot claim compensation or a fee of any kind. In case of enquiries concerning the purchase of usage rights of the awarded photographs, the GDT will forward the relevant photographer‘s contact details to the interested party. The required prints for the exhibitions will be made on the GDT‘s own expenses, or that of third parties eligible for using the photographs. After the exhibitions have concluded, the GDT is authorized to sell the prints to interested members of the public provided the proceeds of this transaction are assigned to charitable projects, in particular nature conservation projects. Unsold prints will be destroyed.